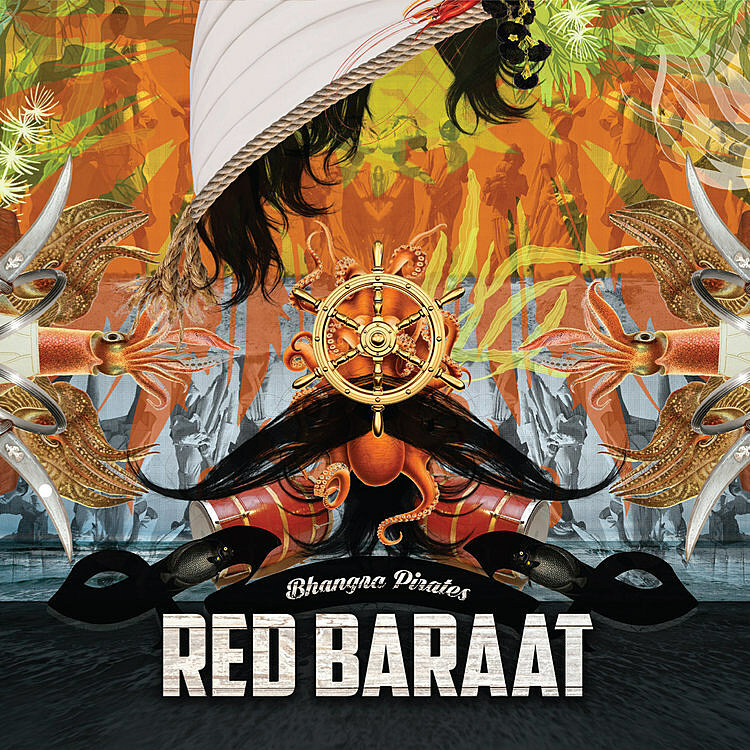 Eight-piece Brooklyn Bhangra band Red Baraat are releasing a new album, Bhangra Pirates, on March 24 via Rhyme & Reason (pre-order physical or digital). The band are really more of a live band than a studio band, and this album stems from some in-studio recordings Red Baraat did with KEXP in 2015. According to bandleader and dhol player Sunny Jain, the band had the KEXP recordings mixed and mastered by Dave Sharma, and “then ‘re-imagined’ some previously recorded material by adding guitar to the tracks and re-mixing and re-mastering them as well.” They recently released the song “Bhangale,” featuring Delicate Steve, and we’re now premiering the title track. As you’d expect from Red Baraat, it’s a funky, groovy, lively, party-ready jam, and you can stream it below. Red Baraat are also touring. They played a hometown show at BRIC House last week (3/9), and they next play NYC this Thursday (3/16) at Le Poisson Rouge. It’s one of their ‘Festival of Colors’ shows, “a celebration of Holi, a Hindu holiday marked by public gatherings of families, friends, and strangers rejoicing in song, dance, and the exchange of ‘colors. '” That show is with The Kominas and Ganavya. Tickets are on sale now. All dates are listed below.